This was a truly memorable week for me. 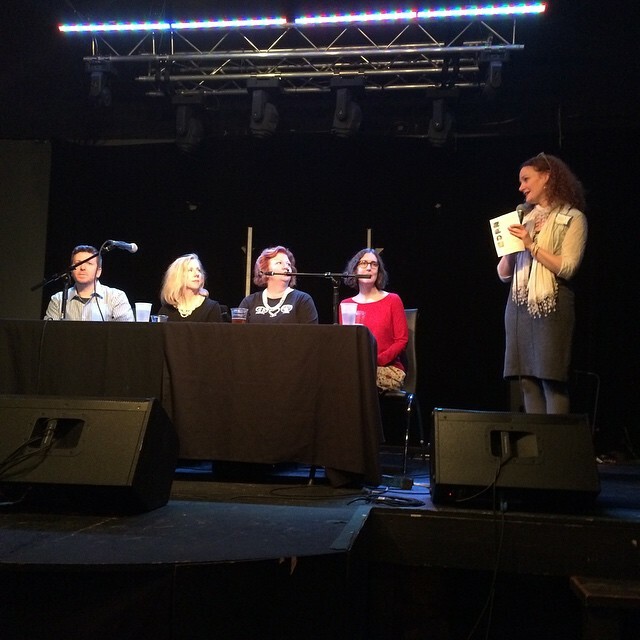 On Tuesday, I was flown into Richmond, Virginia, to be part of a panel on writing and Jane Austen. 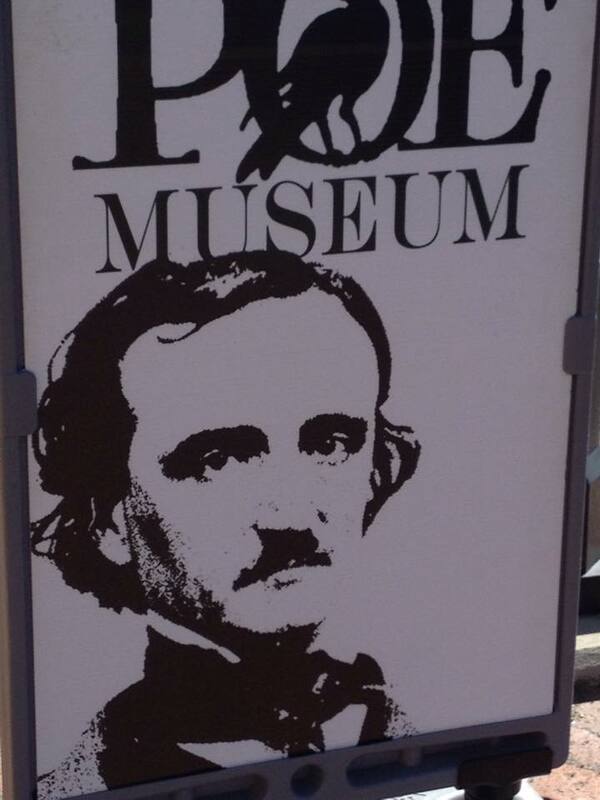 It gave me a nice chance to get some writing in and to explore a very cool town… and visit the Edgar Allen Poe Museum! One of the things I really enjoy doing is checking out the handwritten manuscripts of authors, and I was able to do that there (and his handwriting was exactly like you would have expected). Poe was a big influence on my novel Maximilian Standforth and the Case of the Dangerous Dare (here). He even was the quote at the front of the book (well, him and Snoopy). Besides a statue of a muse in the museum that freaked me out (I was sure it moved, making me jump like you wouldn’t believe), it was a nice detour. Okay though, on a side note, why doesn’t the gift shop sell pens? Writers… books… You think pens would be an obvious thing, as compared to the stuffed toys of a creepy pale guy with a mustache? Back to the much more important stuff! I was one of four panelists at the event. 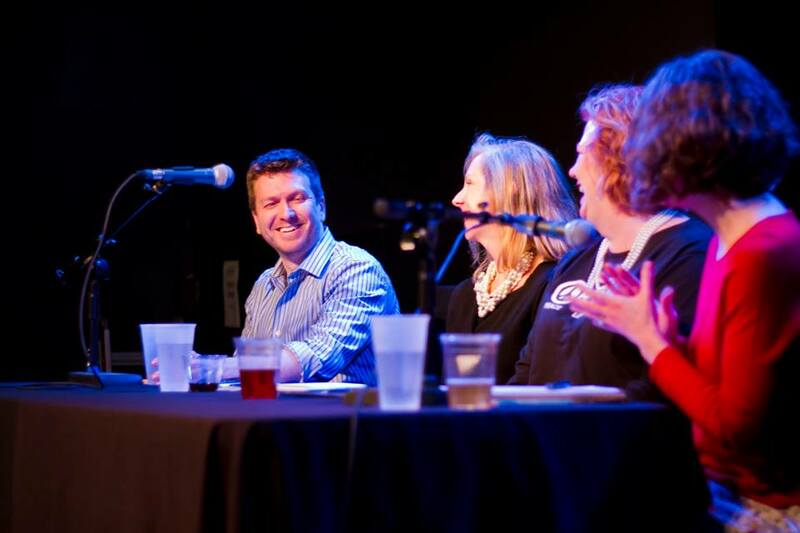 There was also Dr. Catherine Ingrassia (from VCU), Leighton Powell (from the Jane Austen Society, Central Virginia), and our moderator Mary Chris Escobar (author of How to Be Alive). I have included some pictures from the event. They were taken by Richard Bailey (you can find him online here). Richmond is really lucky to have a writing organization like James Rivers Writers. It was great to be there and to meet fellow writers, readers, and even followers of this blog! I want to thank JRW for this opportunity, as well as a big thanks to historical fiction author Karen Chase (who has a website here) who arranged my attendance. She also had the fun task of driving me around. Thanks Karen! I hope you will check out James Rivers Writers website, and maybe try to attend an event in the future. You can find them online here. This entry was posted in Writing and tagged Authors, Edgar Allen Poe, James Rivers Writers, Jane Austen, Karen Chase, Literature, Mary Chris Escobar, Richmond, Virginia, Writing by Scott D. Southard. Bookmark the permalink. I am so glad you enjoyed Richmond and the event! Thank you so much for joining us. It was truly a fun time, and I’m glad you came and toured Richmond. Your insights on Jane were lovely. Thanks! I had a lot of fun as well. Cheers! 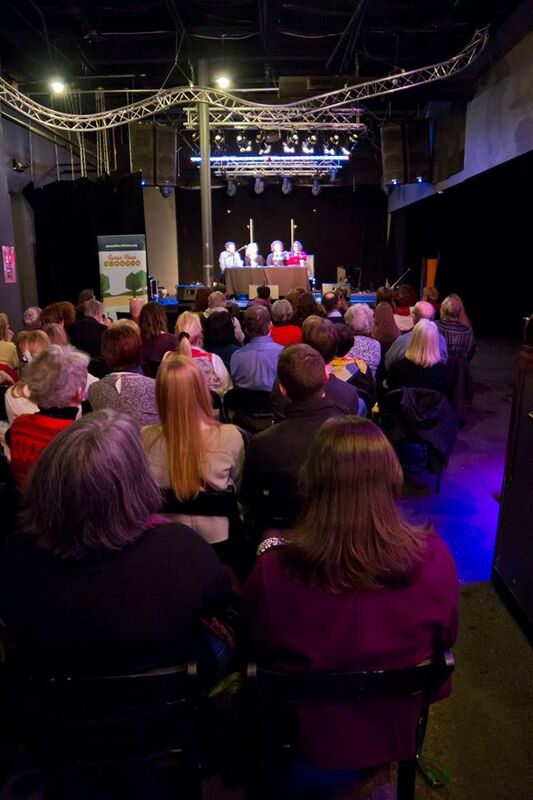 Great seeing you in Richmond at the James River Writers event, Scott. So fun to meet online friends in person. Cheers!